Sam and I tend to get a little bit of cabin fever, especially when the weather is nice. 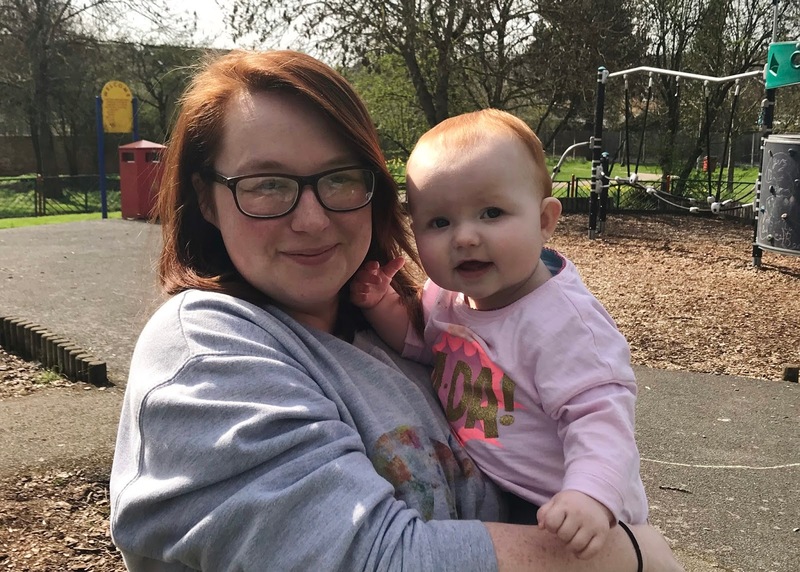 The girls love being outdoors, Emily especially and we don't have a garden, so when the warmer weather does come - we find ourselves going out more, or getting really frustrated that we don't have a garden or both. Sunday was the first day in a long time that we have had really nice weather, doesn't it feel like we have had the longest winter known to man? My poor summer baby doesn't know what the sun is. I decided that I would just pack up a little lunch for us all, pack it under the pushchair and walk to our local park. Emily wanted to go to the 'big' park - it's a little bigger, has sand and is a little bit further away but she wanted to take her bike too. 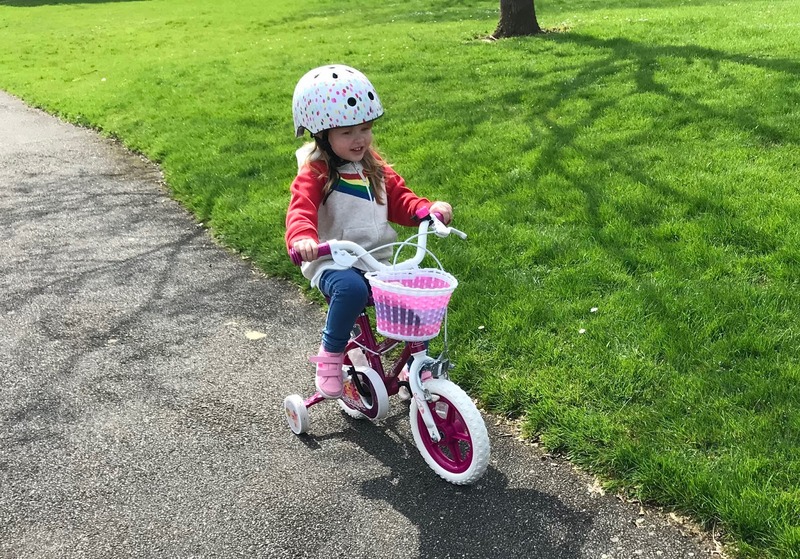 We both knew that she wouldn't be able to cycle all the way to the big park, she is only just learning how to ride her bike, and gets fed up pretty fast. So we told her to pick - big park and walk, or little park and she could take her bike. To our surprise, she chose to go to the little park, I guess that she was just desperate to take her bike. 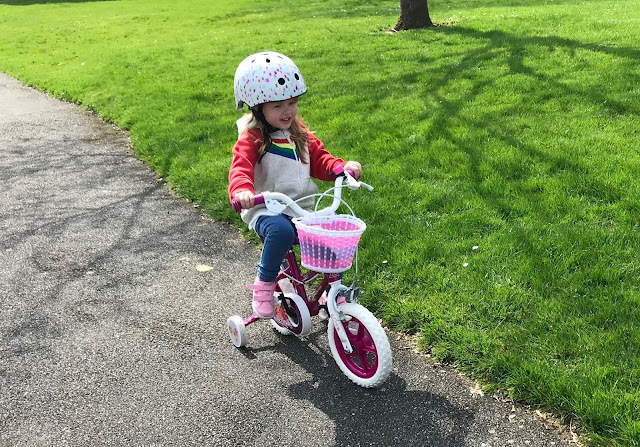 After all the fuss of wanting to take her bike with her, she actually rode her bike for about five minutes, we got halfway up the road and Emily got off the bike - declared she was tired and didn't want to ride it anymore. She couldn't have been that tired, she managed to run around the park well enough. Parenting a threenager is hard at the best of times, I mean who really changes there mind that fast, at like the drop of the hat she just decided that she didn't want to ride it anymore and she was done. Nothing would change her mind, and we actually ended up walking back to put her bike inside, and then going back towards the park. Honestly, parenting a three-year-old is a little exhausting sometimes. When we eventually got to the park, we ended up staying for a good couple of hours, just messing around, playing on the equipment. I took a few of Isabelle's toys with us and set her up on the picnic blanket. 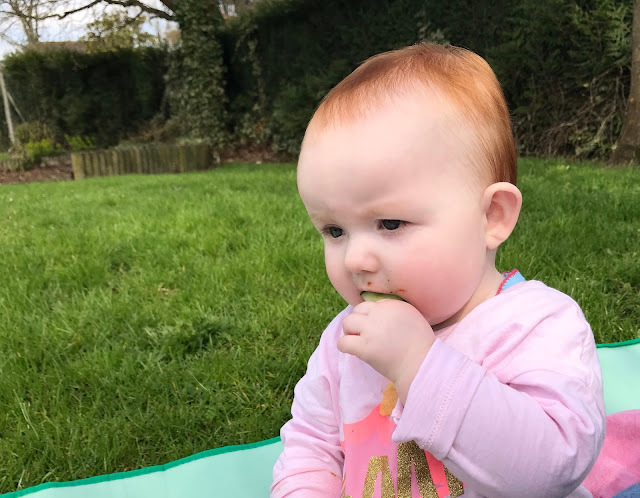 She loved the unlimited amount of cucumber to eat and watching her sister runabout. 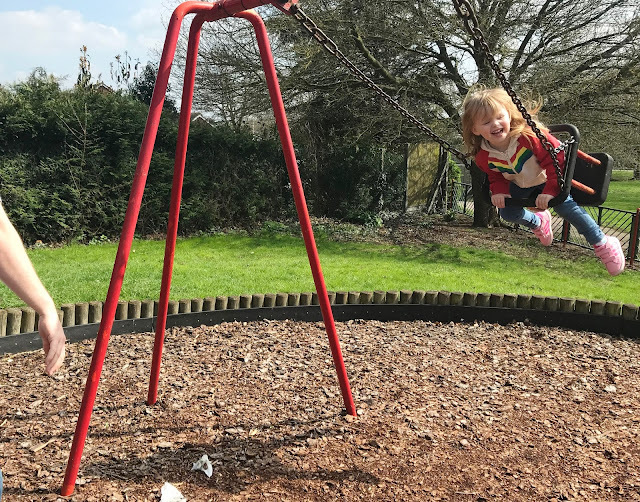 We actually got the park to ourselves which was a shock to me, as every time we go there it's usually full of older children, just sitting about. 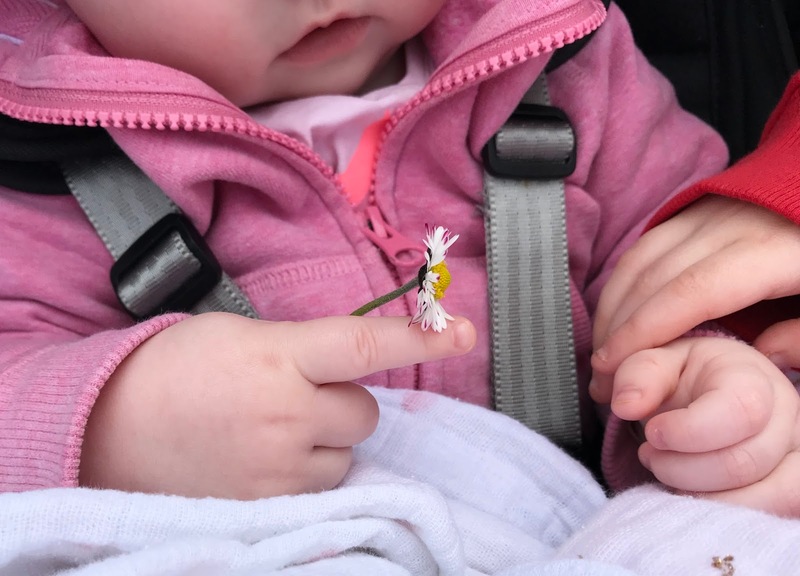 Emily picked daisies for Isabelle, and I was surprised that Isabelle didn't try to actually eat them, she just held it in her hand, watching it, twirling it around in her fingers. I love the closeness that they have and the fact that they get on so well. They really are best of friends and the older that Emily gets the more apparent that becomes, and the stronger their bond comes. Isabelle idolises her big sister, and that is really clear to see. 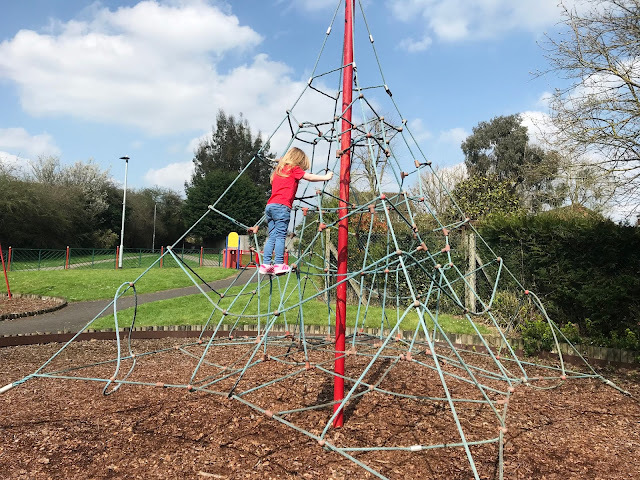 Emily was a little daredevil and decided for the first time ever she was going to attempt to climb the big spider's web. It does make me a little apprehensive that she is climbing the same one I climbed when I was about six-seven - making it around 20 years old and I know full well that it hasn't been replaced and it has seen better days, but she got half way up before saying - mama, I'm too high, help me. Of course, I rescued her, and she was pretty proud of herself that she got quite high. 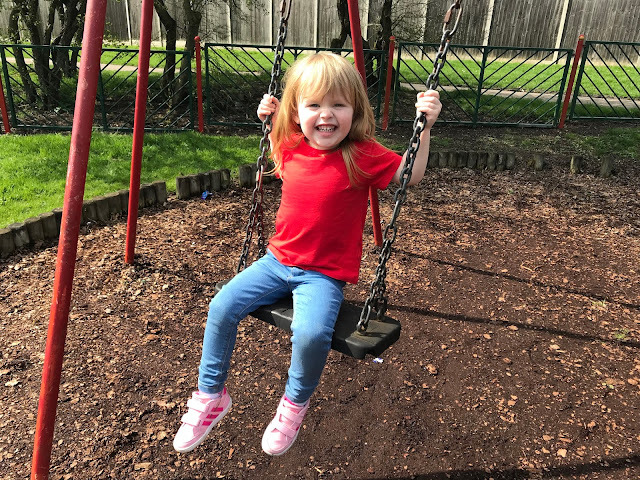 The girls both really enjoyed the swings, the last time we took Isabelle to the park and tried her on the swings she actually freaked out a little bit. She didn't realise that you had to hold on else your body got thrown backwards and forwards. Even though she is really stable holding herself up. This time though she was a little pro at it. She was holding on, laughing and giggling reaching out for Isabelle who was in the swing next to her. It was the cutest thing I have seen in ages. The two of them were in fits of giggles. Emily then wanted to go on the big girl swings. She climbed on and managed to hold herself on there for ages. I was really proud of her. She's getting more confident, and bigger every day. 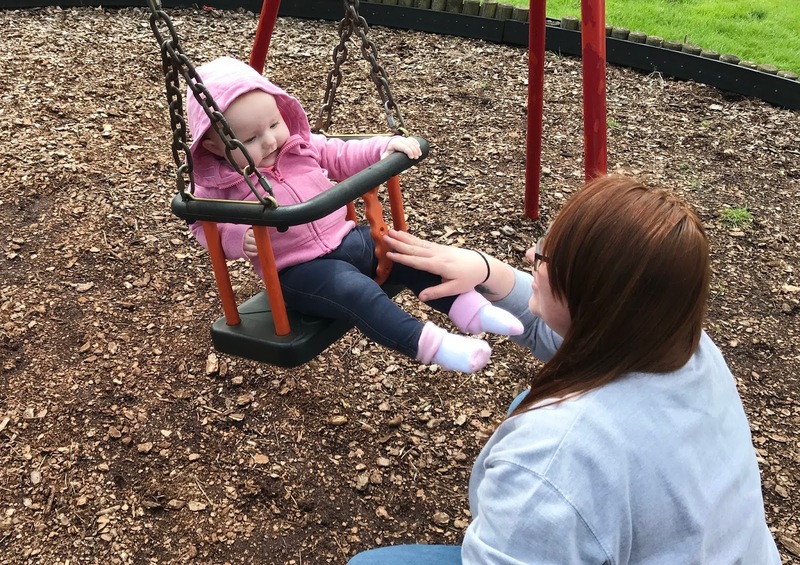 I don't know where my baby has gone, it feels as if Isabelle has been born and Emily has rapidly grown. 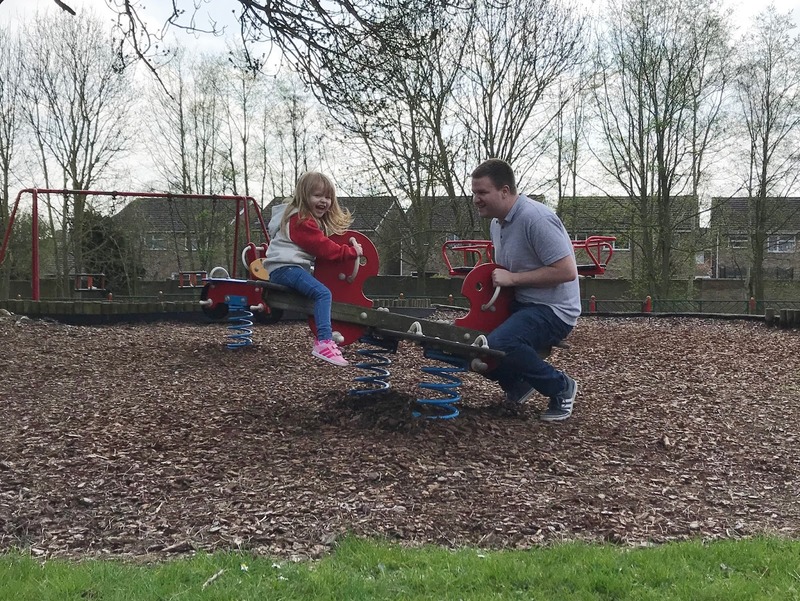 Emily managed to convince Sam to go on the see-saw with her. Every time we go to the park, she asks, I'm sure she is going to be really excited when Isabelle is old enough to ride on the see-saw with her and she doesn't need us, parents, anymore. I'm sure Sam and I will feel a little sad when that does happen too, but I can't wait for them to be able to bond better and start to build on their relationship. The whole reason we really wanted two children was so that they would always have each other. 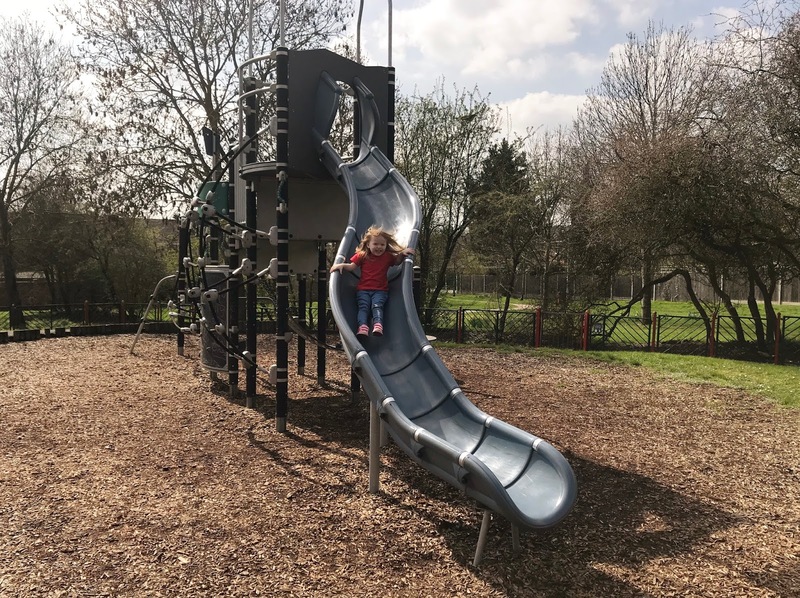 Once we convinced Emily to leave the park we headed to the shops to pick up a few bits that we needed and Emily asked if she could get an ice cream. We were happy for her to get one, and I was a little proud of her, she wanted a strawberry cornetto, but instead of paying £1.89 for one out the freezer, she settled on a box of four button cornettos for £1.50. Isn't it frustrating how shops think they can charge so much for a single ice cream? When did everything get so expensive? 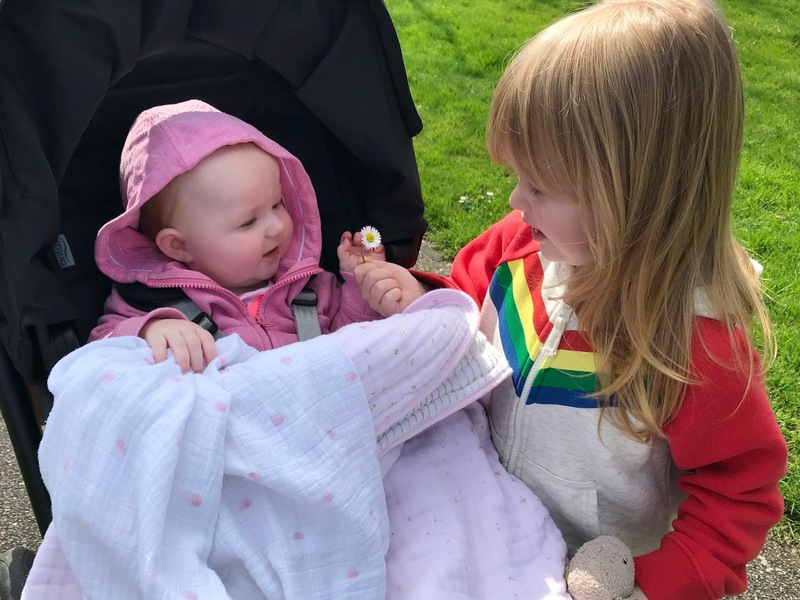 We also picked up an ice pop for Isabelle, she hasn't ever had an ice pop before, and we obviously haven't given her ice cream as most things have dairy in. She absolutely loved the ice pop though, at first, she wasn't sure, she pulled some weird faces, but once she actually got a taste for it, she loved it, and ended up eating early all of it. I'm now on the search for a yummy dairy-free ice cream - if you know any nice ones please do leave me a comment and let me know. Mama, How Did The Baby Get In Your Tummy?